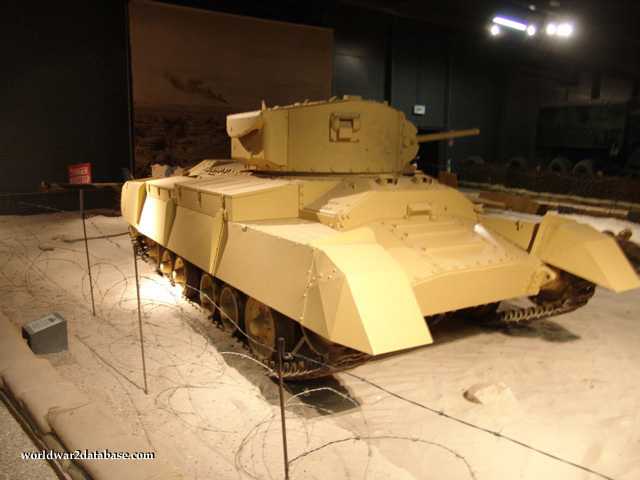 The most numerous British tank of the war, the Valentine was less expensive than the Matilda A12 tank, had the same gun, and the same speed, but was not as heavily armored. It was a private development of the Vickers-Armstrong company and saw service in North Africa and Italy. The Soviets used them in defense of Moscow in 1941 and also to protect the overland lend-lease routes through Iran.